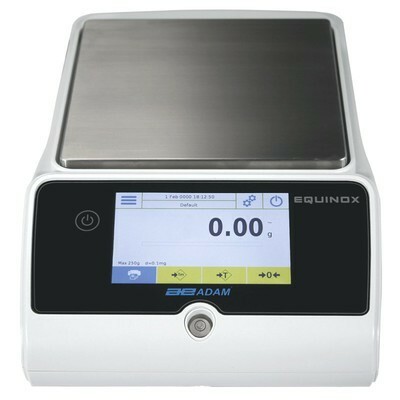 Adam Equipment's Equinox® precision balances deliver remarkable precision to labs that perform highly detailed testing. 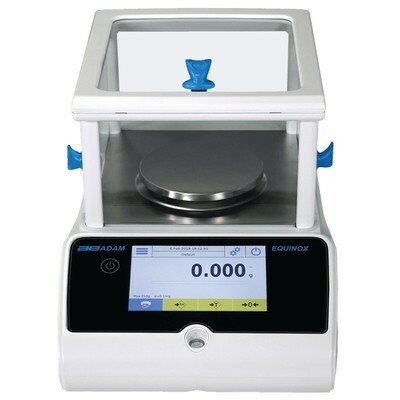 The Equinox® is ideal for research and quality assurance facilities; science education; precision counting; and production and manufacturing applications needing exceptionally precise results. Twelve precision models offer capacities from 360g. to 8200g. and readabilities of 1mg. and 0.01g. A color touch screen display provides intuitive operation, with icon-driven menus and readily accessible applications and functions. The five-inch screen is generously sized, offering 800 X 480 pixel resolution for excellent visibility.